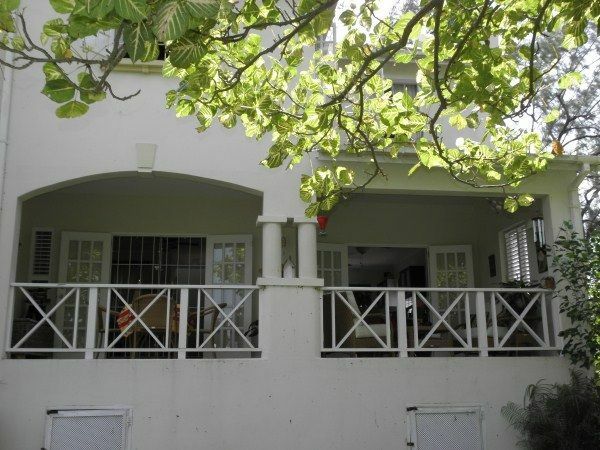 A tastefully furnished and airy 3 bedroom, 2 1/2 bathroom townhouse located within the tranquil setting of Ridge View Estate. 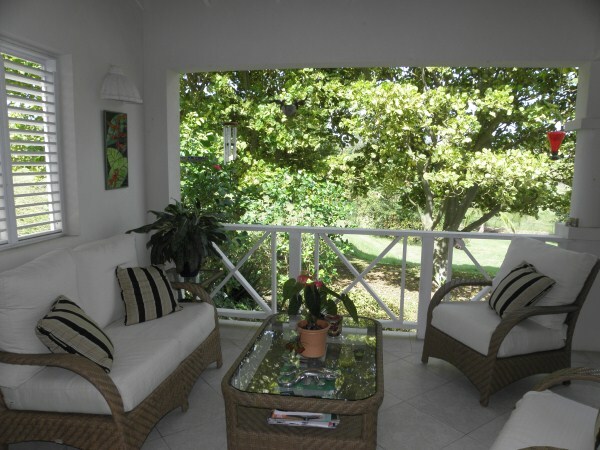 This property is one of 52 units clustered around acres of lush tropical gardens and fruit bearing trees. 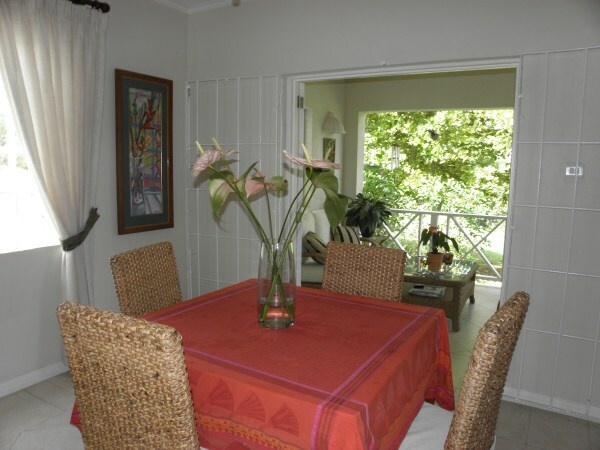 Outfitted with designer furniture, this townhouse presents a comfortable and relaxing atmosphere. On the ground floor, the kitchen is finished to a high standard offering Italian cupboards with granite counter tops, stackable washer/dryer, stainless steel appliances and wine chiller. 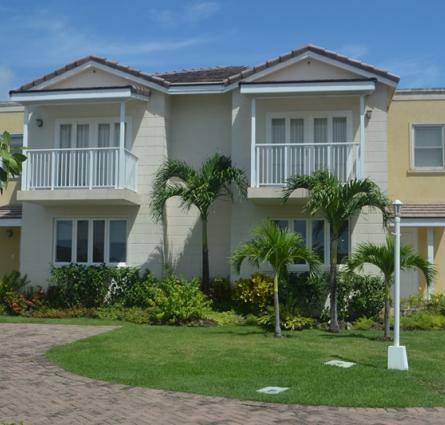 The open concept living and dining room in addition to a powder room and a lovely patio overlooking the sloping manicured landscape to the lagoon below complete the spacious floor plan. 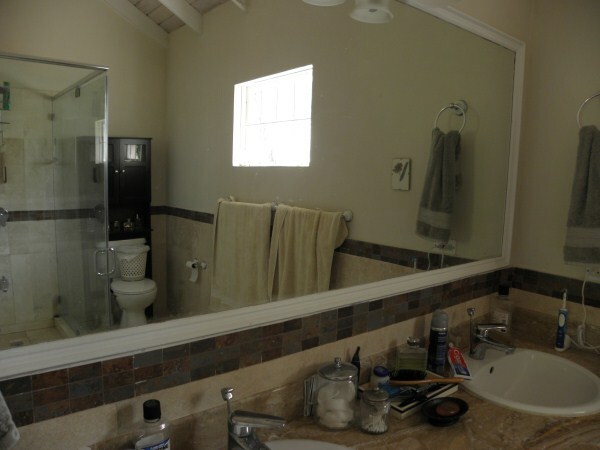 The 3 air-conditioned bedrooms with ceiling fans and built-in closets are all located on the second floor with the master bathroom being en suite and finished with marble and slate tiles, a modern glass shower stall and a second bathroom is shared by the two other bedrooms. 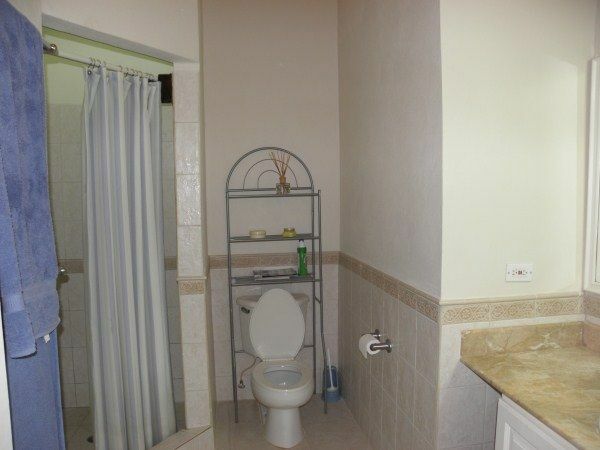 Also equipped with a Security Alarm and grills are found throughout. 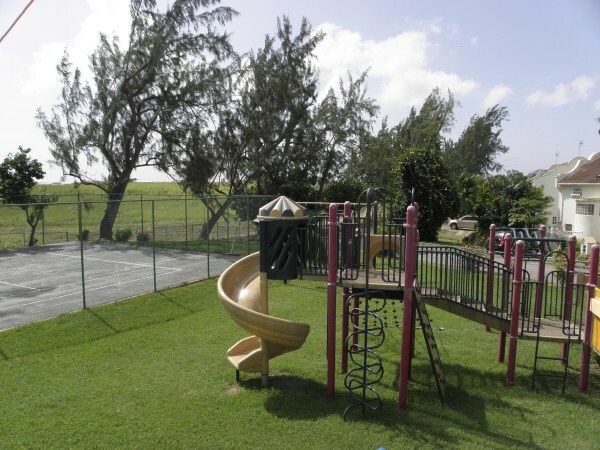 Residents of Ridge View Estate enjoy the many amenities offered in this development like the old factory building converted into a clubhouse, large pool, gazebo, Pavilion with gym, a tennis court and a fenced playground for the kids. Private parking and security patrols are an added benefit to this already attractive community. 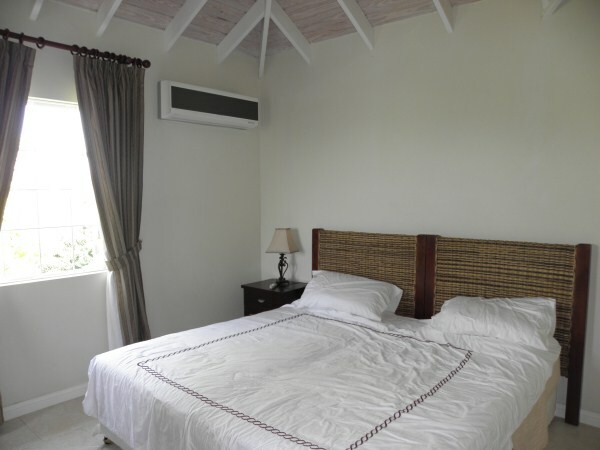 Situated just off the ABC highway positioned 10mins from the airport, Oistins and Wildey area, Ridge View Estate captures the charm of traditional Barbadian country living with convenient access to the many amenities nearby. 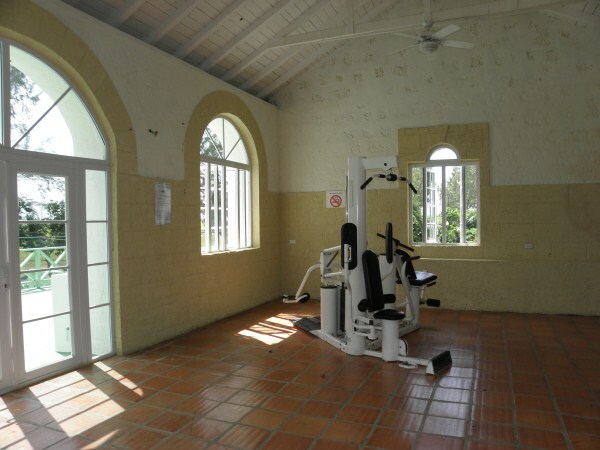 This unit is also available unfurnished at BDS$3,000.00 per month. 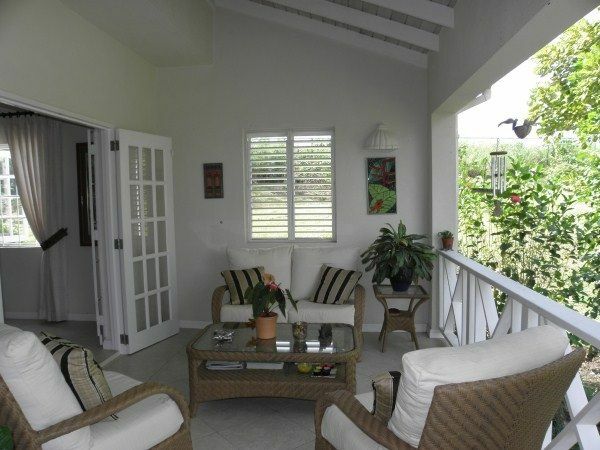 A tastefully furnished and airy 3 bedroom, 2 1/2 bathroom townhouse located within the tranquil setting of Ridge View Estate.